From near the transmission station. 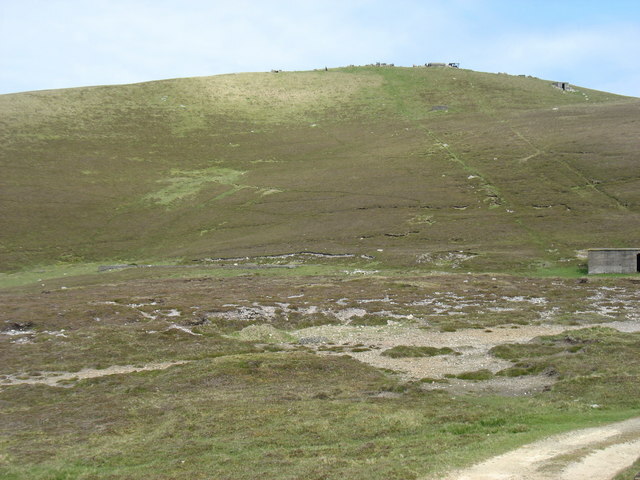 The two diagonal lines are clearly the routes of the cables used to haul goods up to the former radar station on the summit. What a shame that they weren't used to bring down some of the debris left on the summit after closure! Although one can argue about "What is a hill? ", I think there are five hills of any significance on Fair Isle. At 217m, Ward Hill is clearly the highest.